The FBI and the United States Attorney for the District of Maryland recently announced that a 36 year-old Baltimore Police officer has pleaded guilty to multiple drug and gun felonies. The investigation began in early 2012 when the feds received information from an anonymous source that the crooked cop was trafficking in stolen property. As a result of the tip and other corroborating information, feds secured a warrant to wiretap the officer’s cellphone. Through the wiretap law enforcement learned that the officer was selling stolen iPhones, iPads, and other electronics, some of which were confiscated during arrests and never submitted into evidence. Federal investigators also became aware of a new development, that the officer was involved in a more sophisticated and organized criminal scheme with a street level drug dealer. The drug dealer was actually a registered confidential informant with the Baltimore Police Department. A confidential informant is basically a civilian who has agreed to provide information to law enforcement and to participate in undercover investigations in exchange for avoiding criminal prosecution him or herself. On the street confidential informants have infamously been known as snitches, and this nickname has even appeared in television shows and movies. This particular confidential informant was a known drug dealer in the Northwest Baltimore area where the officer patrolled, and at some point the two entered into a business agreement. The officer would provide the drug dealer with information on a daily basis when and where it was safe to sell drugs without police interference. The officer was also accused of doctoring police reports by redacting the drug dealer’s name and eliminating his involvement in crimes. 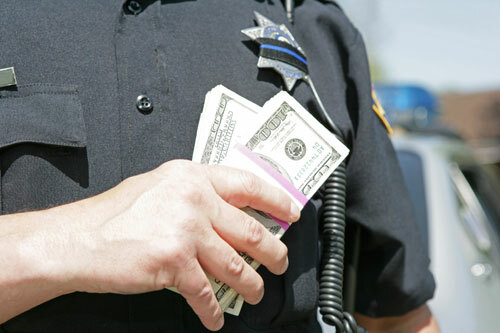 In exchange for this protection, the drug dealer would provide the officer with information about other criminal activity, which the officer used to make arrests. This sort of police activity, minus the doctoring of police reports, is commonplace and does not sound overly egregious. But the shamed ex-cop was not satisfied with simply providing protection in exchange for the opportunity to make easy arrests. What made this case particularly “treacherous”, as the FBI called it, was that the officer went so far as to plan out a series of robberies that involved the confidential informant. On one such occasion, the officer made an illegal search on a person and located a large amount of cash. The man was not arrested, but was detained until the confidential informant was contacted and told about the man’s whereabouts. The informant then robbed the man at gunpoint after he was released. There were other instances as well including one where the informant planted a gun in an unlicensed cab or hack, and then the officer pulled the cab over and made an arrest. The former Baltimore cop faces 5 to 40 years in prison for the drug conspiracy charges, and an additional 5 years to life in prison for using a firearm to further a drug trafficking crime. Sentencing is scheduled in the United States District Court for June 11th of this year. As a result of the officer’s felony conviction, dozens of criminal prosecutions in which the officer was involved could be in jeopardy. Any open case where the convicted cop was the arresting officer will likely be dismissed, and closed cases could be subject to a successful appeal by the defendant. Benjamin Herbst is a drug crimes lawyer who handles cases throughout Maryland. 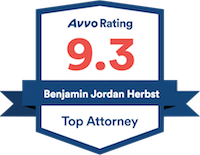 Contact Benjamin at The Herbst Firm for a free case evaluation and consultation. Baltimore Police Officer Pleads Guilty to Drug Dealing and Gun Charge Uncovered by Federal Wiretap, www.fbi.gov.